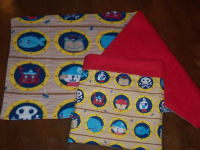 We here at Four Little Feet Boutique pride ourselves on making various accessories for beloved four-legged family members. 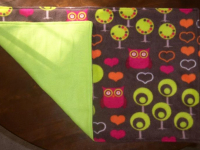 We specialize in snuggle sacks, condo liners, stockings, blankets, dog & cat beds and many other fun accessories! All of our products are made in my smoke-free home and are thoroughly inspected by my team of hedgehogs, dogs, and cats. However, we have accessories for all kinds of four-legged critters! Millermeade Farms sells many cage set ups and starter packages that are perfect complements to the wonderful hedgies they sell. 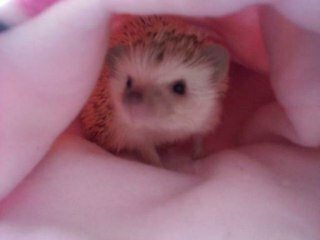 Needlework Hedgehogs is a quality hedgehog breeder located in Richmond, VA. 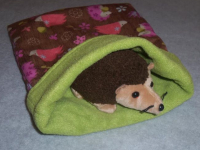 They create many handmade hedgehog supplies and gifts that have been rated of the highest quality and from top materials. 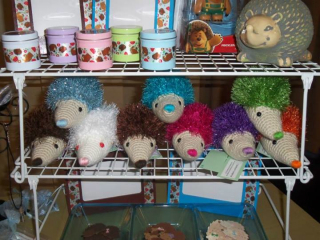 From sleep sacks and liners, to hand-made quill bottle necklaces and crocheted pillows, Needlework Hedgehogs is the place to look first.